The Shabri Dham is a unique religious spot in Gujarat rich in history. Travelers can view the rocks said to be used by Lord Rama, Lakshman and Shabri Mata which is the center of worshipping in present days. The area although situated in the rural side is well developed with modern pathways and a unique temple building. Parking place and vegetarian eating houses are also available. Also a big reason of huge visitors is the epic Kumbh Mela that takes place here. It is a religious fair where pilgrims from far and wide come to pay their tribute to the Gods and Goddess in search of clearing their sins. The Kumbh Mela is a highly respected collage of all sorts of Hindu followers which makes it a grand occasion. The last Kumbh Mela held here was in January 2016 that witnessed massive crowd developing the popularity of the Dham. Guest houses and Dharamsalas are also available in the nearby area to accommodate tourists. The adjacent hilly area is also home to the wild that makes up the Purna Wildlife Sanctuary. It is the religious history of the Sharbi Dham that makes it an important tourist scenario in India. The mythological stories and the strong beliefs around it make the place very sacred and prominent. 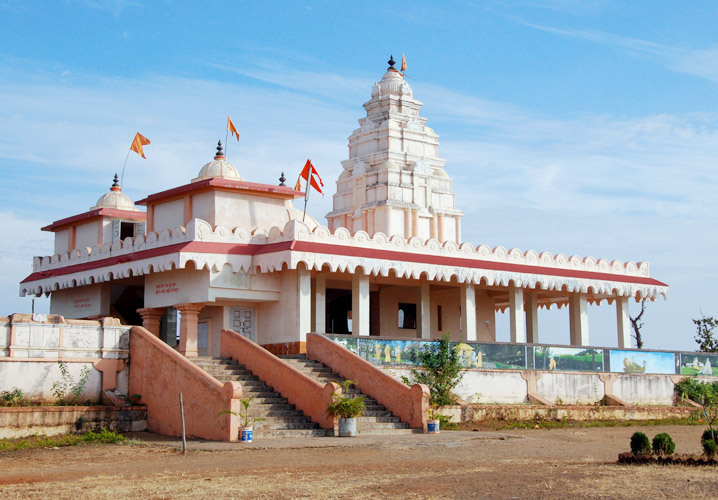 The Shabri Dham is famous for its mythological past which revolves around Hindu God Rama and his brother Lakshman and the story of a Bhil woman Shabri, who had offered the berries. The temple enclosures the three rocks on which they rested and shared the berries offered to them by Shabri on their Banvash. Henceforth Shabri Mata has being worshipped with respect to the tales of the Ramayana. The Shabri Dham is a famed location on the hills of Chamak Dungar close to Subir Village in the rural district of Dangs. It falls on the Ahwa-Navapur Road. The town of Shabri Dham can be reached by raveling just 30 minutes from the Dangs District. To reach Ahwa, it is 30 kilometers from the nearby village of Subir. The Shabri Mata temple can be visited anytime of the year as the weather is mostly pleasant and the temple is open on all days.